Lisa is the food writer, photographer, and recipe creator at Delicious Table. Born and raised near Los Angeles, Lisa attended the University of California Irvine (Go Anteaters!) and never left the Orange County area and the beach! She graduated with a B.A. in Social Science, with a business emphasis. 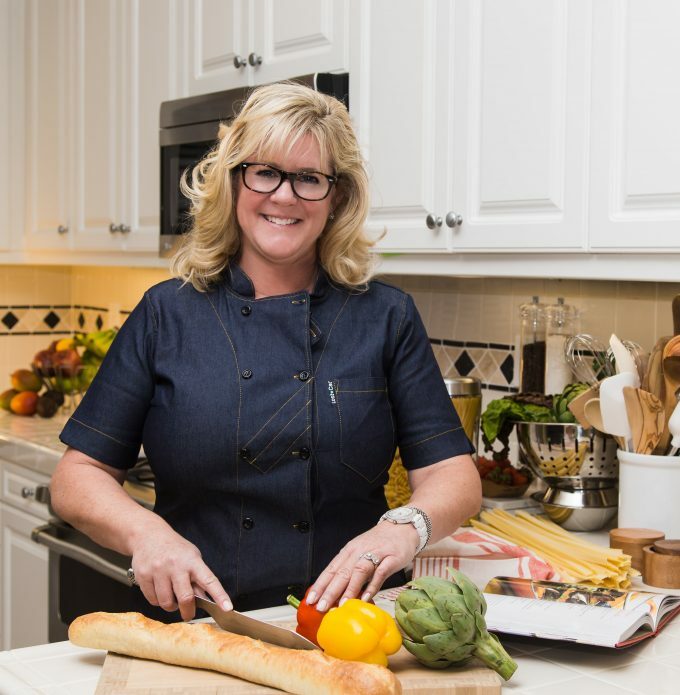 Lisa had a 25+ year career in technology sales and marketing before starting Delicious Table, but she had always had a passion for food, restaurants, and cooking. Her friends “dared her” to start a blog in 2014 on a girls getaway weekend, and put up one recipe for her turkey meatballs after she promised it was so good, it would lead to marriage. You will often find Lisa entertaining friends and family around the pool, loves gardening, hiking, home design, and adventure travel around the world. Her next trip is an African Safari! “A bit about me, I have been cooking seriously for over 25 years with a strong professional culinary training background, and thousands of recipes in my collection. I come from a family of home economists, cooking instructors, a cookbook author, home chefs, and even a food stylist. While working in the highly competitive tech industry for most of my career, my cooking passion took hold. After long days on the road traveling, and eating out, I began to relax by cooking and entertaining at home. And sharped my culinary skills to new levels with countless cooking courses.